During the late 1900's late summer and fall flows declined within the Cosumnes River. These declines in baseflow reduced access to historic spawning habitat for Fall run chinook salmon. 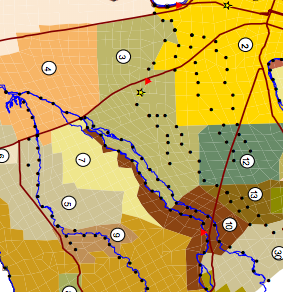 This study, funded by the US Fish and Wildlife Service: investigated the loss of baseflow contributions to the river caused by regional groundwater overdraft; documented the seasonal hydraulic disconnection between much of the river and the complex regional aquifer; and estimated the volume of water needed to partially reconnect the river with the aquifer, reduce seepage losses and partially reinstate baseflows.